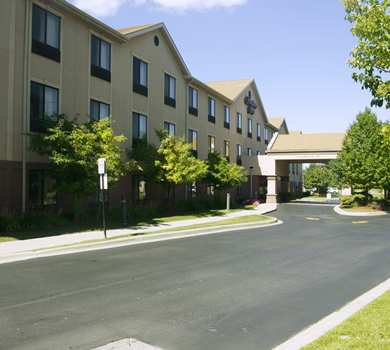 We are located within minutes of Detroit Metropolitan Wayne County Airport (DTW) Our hotel welcomes you to a variety of amenities. Our friendly and charming team will be happy to assist you with your travel needs. Hotel Room reservation not required! Parking Instructions for customers: It is required to arrive 15 minutes prior to your shuttle departure to park your vehicle and complete your parking registration. Shuttles drop-offs to the airport are on a fixed schedule once per hour on the top of every hour (i.e. 1:00 pm, 2:00 pm, 3:00 pm). It is recommended to book the shuttle that's at least 2 hours prior to your flight departure. Shuttles pick-ups from the airport are on an on-call basis. The agent will advise you with an estimated time for pick-up. Please be advised, we may only dispatch a shuttle until you have landed, received your luggage and arrived at ground transportation. Please call 734-888-4343ï¿½once you have arrived at ground transportation. Shuttle times may vary due to shuttle demand, traffic and weather conditions.